FAIRFIELD, IOWA — An award-winning filmmaker is bringing his film back to where it began. The first frames of Greg Reitman’s documentary, “Rooted in Peace” were shot right here in the Heartland. The film got its start in Fairfield during a performance by the Beach Boys. “It’s really nice sort of to bring this film to where we first started six years ago and then to return here and to show the film. I always like the idea of full circles, so it really empowers me as a film maker to see that,” said director, Greg Reitman. Reitman describes the documentary as a personal journey. The filmmaker says he was inspired to make this documentary from a personal experience he had while he lived in Israel. “I’m haunted by this idea of a mother putting on a gas mask to a 5-year-old child and in my mind I kept asking the question,” how does a mother explain that to her child?” said Reitman. And Reitman didn’t realize how much this experience affected him until he was studying abroad in Japan. He was with some friends visiting the Hiroshima Memorial and was confused as to why all of his friends were crying, but he wasn’t. 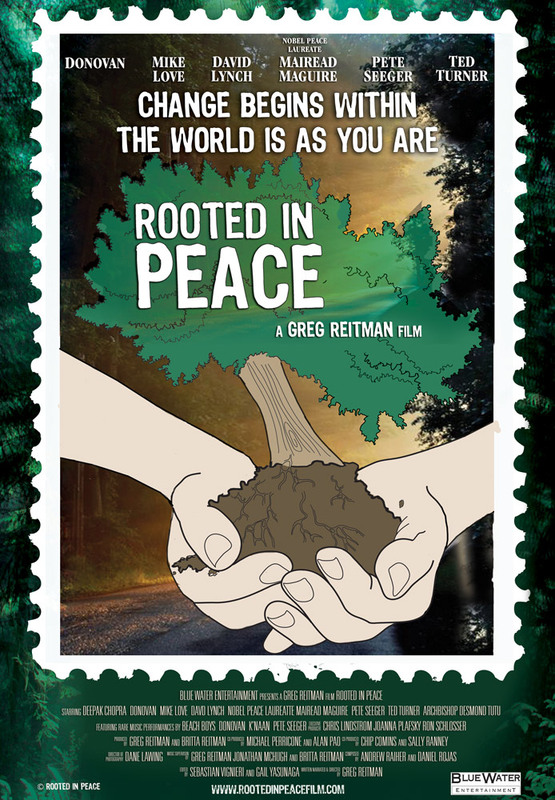 “Rooted in Peace” took six years to complete and that’s due to not only figuring out the making of the film, but Reitman had to figure out the meaning of peace. “It was also very challenging because as we working with various writers, how they understood the meaning of peace and they really didn’t,” said director Greg Reitman. Once Reitman found out the meaning of peace, he says it was like an epiphany. The filmmaker says after an audience sees the documentary, it’s going to move them. “It could take a day, it might take a week or it might take a month, but this, the content, whatever it’s doing internally to us, it’s working and that was really what I wanted to do, I wanted to wake people up and get them in touch with themselves,” said director of “Rooted in Peace” Greg Reitman. “Rooted in Peace” will be shown at the Sondheim Center on Sunday at 7 p.m.
See KTVO video on YouTube, film trailer, and other film news here. 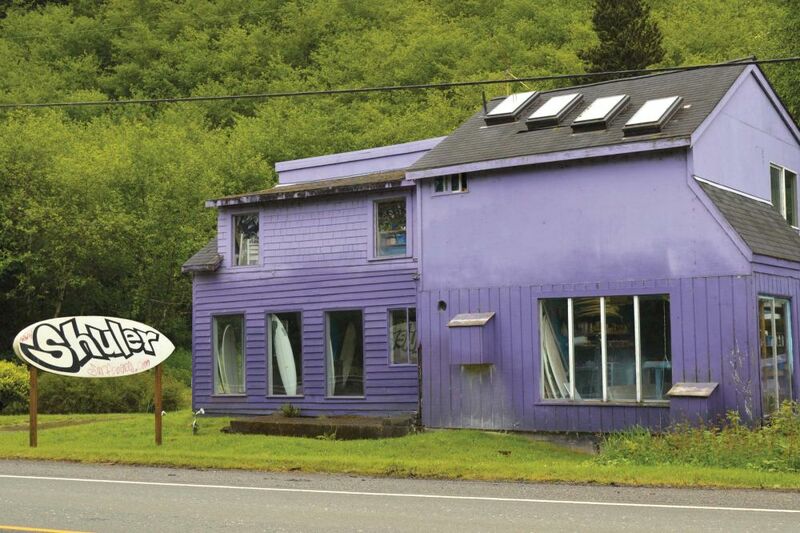 What’s going on in that purple building? Article and photos by DWIGHT CASWELL for COAST WEEKEND: ARTS & ENTERTAINMENT: COASTAL LIFE. URL for article: http://bit.ly/1278dWi. My curiosity finally got the best of me, and I stopped by. What I found surprised me. Yes, there are surfboards being made here – custom-made, state-of-the-art boards – but there’s a lot more going on. There’s an artist, a materials consultant to Corning and Dow, a creativity consultant to Nike, a Transcendental Meditation (TM) instructor. From the outside, the building doesn’t seem large enough to house all those people, and it couldn’t if not for the fact that all those people are one: Lanny Shuler, who has been doing all those things on the North Coast since relocating here in 1983. As a young man in 1972, Shuler moved to Astoria to help his father, Don, build a commercial fishing boat, eventually moving back to southern California to make and lose a fortune in real estate. He studied art and architecture in school and began to practice TM, a mantra-based meditation technique that is practiced twice daily for 15 to 20 minutes. 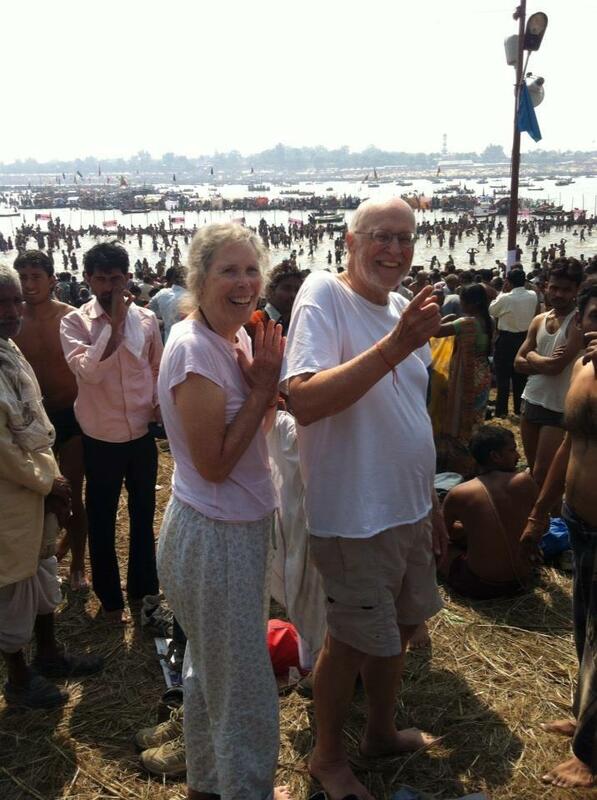 Through TM, Shuler found an inner peace and wakefulness, and he left formal education to study under TM founder Maharishi Mahesh Yogi, eventually becoming a certified TM teacher. In 1983, having discovered that “a simpler life was more to my liking,” he returned to Oregon, just in time to catch the wave of windsurfing tourism in the Columbia Gorge. 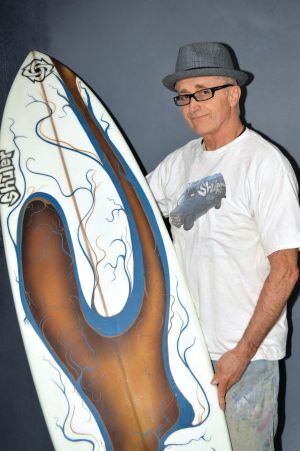 In addition to his surfboard business in Seaside, Shuler opened Shuler Sailboards in the Gorge and discovered that building both sailboards and surfboards gave him a more diverse outlet for innovation and creativity, as he constantly modified and reinvented his cutting edge board designs. Shuler’s innovations with resins, fiberglass and foam led to consultancy work with Dow Chemical and Owens Corning. Word of Shuler’s creativity also got around to Nike’s product development team, called the “Innovation Kitchen,” prompting their visit to the purple building for inspiration on long-term maintenance of creativity. Shuler credits TM for his daily charge of inspiration and enthusiasm in new ideas, and his capacity to incorporate them into his career. Since that first meeting he has been invited to the Nike Campus to bolster employee creativity through lectures and TM lessons. Which is not to say that he is abandoning functional surfboards. In fact, he is introducing an entirely new type of board designed to allow novices and experienced surfers alike to more easily develop their surfing skills and have more fun surfing in a variety of conditions. The new boards and Shuler’s art will soon make an appearance on a redesigned website, www.shulersurfboards.com, and stay tuned for the next dimension of Lanny Shuler’s multifaceted life. The legendary Beach Boys singer on Pet Sounds, Paul McCartney, clean living, Brian Wilson, modern music and more. 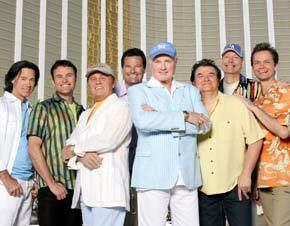 The Beach Boys will bring some welcome Californian sunshine to Castlebar this June. 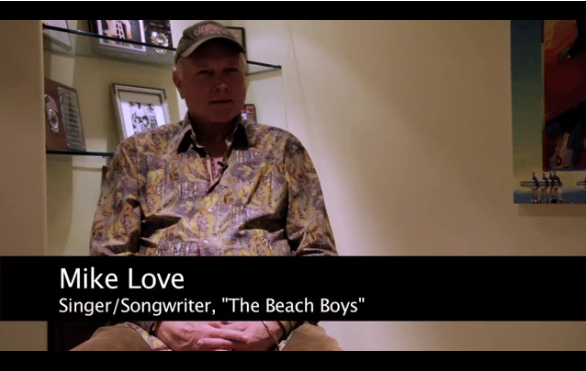 Edwin McGreal spoke to founding band member, music legend Mike Love last week. Mike Love is not your typical rock’n’roll star. No sordid tales of debauchery, very little evidence of skeletons in his closet and, nearly 50 years after The Beach Boys were formed, he’s still going strong, playing around 150 shows a year. Love, now aged 69, is a very relaxed and positive person, which is not surprising when you listen to such upbeat songs as ‘Good Vibrations’ and ‘I Get Around’, summer anthems that have put a pep in the step of millions for over 40 years. And he and The Beach Boys will bring their sounds of summer to the TF Royal Theatre on June 26 (albeit minus Brian Wilson and Al Jardine). So, still going strong all these years later, where does he get his energy? “We don’t burn the candle at both ends like we might have done in the early 60s,” Love explained, speaking from his southern California base last week. “The Beach Boys are primarily a vocal group, we always emphasise our harmonies, and you can’t sing those kind of harmonies if you’re going to destroy yourself. I personally learned transcendental meditation [from renowned Indian guru Maharishi Mahesh Yogi, who taught many celebrities, including the Beatles]. I keep doing that every day and it is profoundly relaxing and repairs a lot of wear and tear mentally, emotionally and physically. It gives you a really nice outlet for stress rather than taking to the bottle or smoking a lot of pot or other drugs. Musically, the ’60s was a roller-coaster journey for The Beach Boys. There was the outstanding success of their totemic album ‘Pet Sounds’ in 1966, but the release of ‘Good Vibrations’ the same year is one Love looks back on with particular fondness. Subsequent decades didn’t prove as successful, with the exception of ‘Kokomo’ reaching Number 1 in 1988. Love admits that Brian Wilson’s well-publicised problems did play a part, but it wasn’t all bad for the band to be minus their front man. Moving to modern day musicians, Love has no particular favourites, but he’s exposed to the full gamut by his children. Some good, some not so good. “I unfortunately get exposed to some rap music from my 14-year-old daughter but I also get exposed to Leona Lewis, Beyonce and Alicia Keys, those are pleasant exposures. I don’t think I’m obsessed with any new artist but I’m not against them either. I’m just as likely if I’m driving around to throw on the oldies channel just out of morbid curiosity to see if they’re going to play a Beach Boys song,” admitted Love, laughing at the thought. Love hints that talks have taken place of a touring reunion with Brian Wilson and Al Jardine to mark the 50th anniversary of the band. For now, it is Love, together with long-time member Bruce Johnston and others who tour under the Beach Boys name – but the dynamic is the same, according to Love. Still sending those good vibrations. You still practice transcendental meditation? Yes, I do. I did it this morning. I do it, as it’s meant to be, twice a day, morning and evening. It’s been a huge help in my life in terms of combating stress, but also giving me that deeper rest. Transcendental meditation can lower your metabolism to the level of rest twice as deep as deep sleep. I learned from Maharishi in Paris in December of 1967, and I’ve been doing it ever since. So many of your greatest songs were about teen-age life and high school concerns. Does it get harder to sing those songs the farther removed you get from those days? I have a young daughter. She came home from school three or four years ago and said, “Hey Dad, my fourth grade class’ favorite songs is ‘Wouldn’t It Be Nice.’” For children, pre-teens, teens and young adults, “Wouldn’t It Be Nice” is relevant to their lives at the place where they are. For me and for people who started out as fans of the Beach Boys in the ’60s, it’s going to be nostalgic. The fact that we’re appreciated by multiple generations is a blessing. The Beach Boys have their own little slice of Americana. My mom and Brian, Dennis and Carl Wilson’s father were sister and brother. Whenever we got together for a birthday party or Thanksgiving or Christmas, it was always music. We had a grand piano, an organ and a harp in my living room, and we’d have these family get-togethers with aunts and uncles and cousins. The Beach Boys becoming a career started out as a love of singing and making harmonies together. Do you feel like you’ve been cast as the bad guy in the Beach Boys story? In some places. I think it’s the result of my not getting credit for a lot of the songs I wrote with Brian. I co-wrote “California Girls” and “Help Me Rhonda” and “I Get Around,” but I was never credited. Brian was under a conservatorship, an attorney, who would not allow him to right those wrongs. Yet wanted to. I know he wanted to because he told me so, but he wasn’t in charge of his business affairs because of the issues he’s had, emotionally and mentally, over the years. I wasn’t thrilled about being cheated or not credited, but as far as my relationship with Brian, how he felt about things and that he always wanted to rectify things and subsequently things have been, for the most part, rectified. What about the idea that you hampered the creative evolution of the band? That’s another fabrication. We all worked on the “Pet Sounds” album as diligently as we could as humans. Brian was the producer and he did the great orchestrations, but we all worked on the vocals extremely hard. Brian and I both went to Capitol Records and presented them with the record. Any talk of me not being in favor of “Pet Sounds” is garbage. So there’s misinformation like that that has its own life on websites that’s not true. If something’s true, I’ll own up to it. For instance, we wrote “Good Vibrations” together, and it went to number one. The follow-up to that was “Heroes and Villains” and that was done with another co-writer. Right. And it went to number 48 or something. I asked Van Dyke, what does “over and over the crow cries uncover the cornfield” mean, or “have you seen the Grand Coulee working on the railroad?” I coined the term “acid alliteration.” That’s what I called it. It’s absolutely true that I have an issue with doing lyrics that are so obscure and oblique that they can’t be relatable to by most people. I mean they can be appreciated, and I do appreciate the art form itself. But I like art that relates to people to the point where a song has a chance to go to number one. So I am guilty of liking songs that are artistic as well as popular. So all of the court battles have been resolved and you and Brian and Al are in a good place? Yeah, there’s no outstanding legal fracases going on, which is a good thing because there’s been some dialogue between Brian and I getting together and seeing what we could come up with, and there’s a 50th anniversary of the Beach Boys coming up in a couple of years, and it would make a lot of sense to do something together. Love have been members of the band since the 1960s. The legendary ensemble that has been entertaining audiences since 1961 will perform Monday in Fairfield – a quick return trip to Iowa after a recent show Aug. 14 at Meskwaki Bingo-Casino-Hotel in Tama. But Monday’s outdoor concert on Labor Day at a middle school in Fairfield also will deliver a different “vibration” for singer Mike Love. “My main place for rest and relaxation and recharging has been the Raj and meditating in the domes,” Love said last month during a stopover in Fairfield. The Raj is a Fairfield spa that integrates holistic practices into its treatments. Love, one of the remaining 1960s members of the Beach Boys, will be named Energy Czar for the day by Fairfield Mayor Ed Malloy. He will also help unveil the city’s 40-point Green Sustainability Plan, funded by an $80,000 grant from Iowa’s Office of Energy Independence. 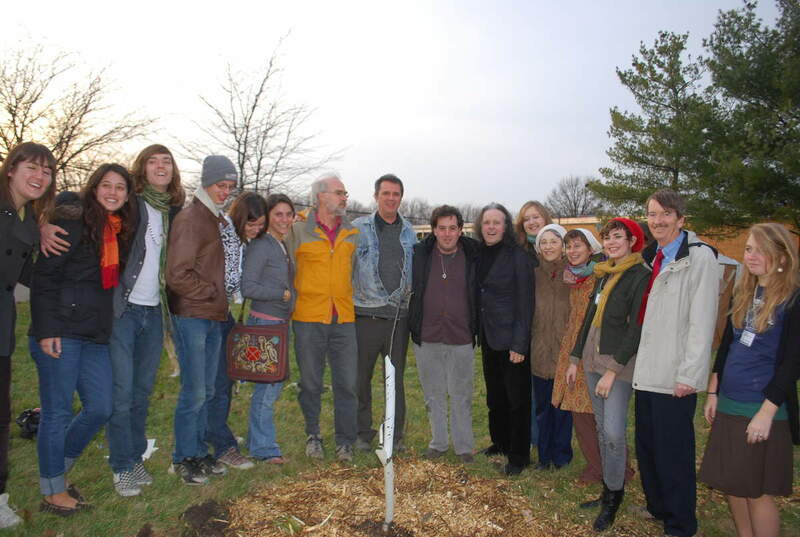 The plan calls for energy conservation and support of local farms, among other initiatives. 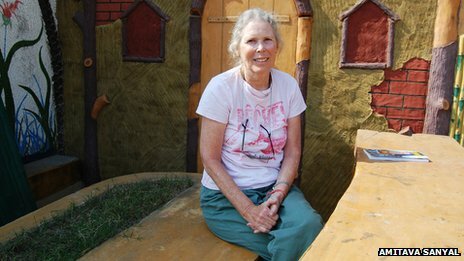 “Energy independence is something that is close to my children and grandchildren and their children’s heart,” Love said. Proceeds from Monday’s concert also will benefit the David Lynch Foundation, which supports T.M. education, and the Fairfield Arts and Convention Center. “Maharishi said once in a meeting, ‘You need a cool head and a warm heart,’ so I made a little sound out of it,” Love said about his inspiration for the song. WHEN: Monday, gates open at noon.